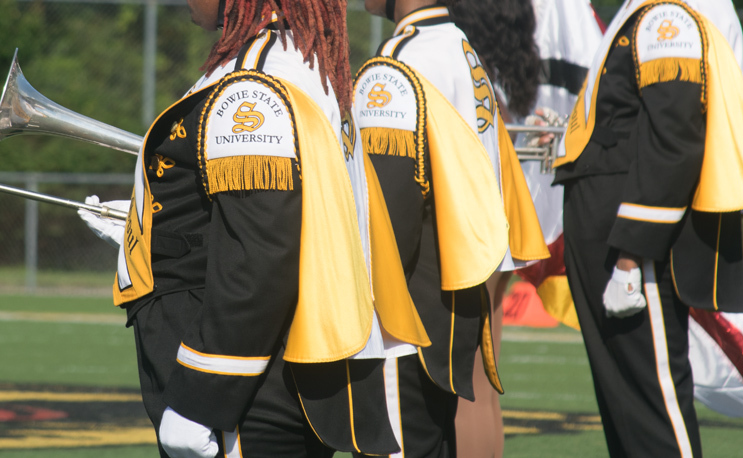 Bowie State is tackling band hazing head-on with a change of leadership and new programs. Bowie State is taking steps to correct a band culture that it admits includes hazing. The University announced on Friday that it will be changing leadership along with putting its band, the Symphony of Soul, on one-year probation following investigations where multiple hazing allegations were concluded. BSU president Aminta H. Breaux announced a Revitalization and Realignment Program, along with the resignation of Band director Dr. Adolph Wright. Wright’s position will temporarily be filled by band director Billy Bennett until an interim band director can be put in place. During the probationary period, the band will only perform on campus at institutional ceremonies and other campus performances that fulfill the academic requirements of the program. Overnight trips by the band will be prohibited. Summer Band Camp will be suspended until 2020, and new students will not be allowed to join the band until fall 2020. This means there will be no performances at the CIAA Tournament in Charlotte in 2019. According to findings released by the school hazing is a “prevelant part of is a prevalent part of the activity that students have engaged in during their membership with the SOS Marching Band. “Evidence uncovered to date indicates that band administrators were aware, at least in part, of the information leading to the current findings,” the school wrote in a two-page report on its findings. The “Symphony of Soul” band has an unauthorized Constitution that prescribes physical discipline for conduct infractions, requires students new to the band to do certain acts of service for other band members, and further delineates differences in conduct and consequences for those new members. This violates the BSU Student Code of Conduct definition of hazing, which forbids any action taken or situation created intentionally to produce physical discomfort, and requiring any personal servitude, as examples of prohibited conduct. The university reserves the right to take action against a student group for conduct prohibited by the Student Code of Conduct. Such acts of misconduct by students engaged in organized activities of student groups …whether committed on or off campus, are subject to disciplinary action. The band was initially put on suspension in November when reports of hazing first surfaced. The Aristocrat of Bands is always on key and on point.